Athens is part of Greece, ergo it has the same public holidays. Some of them happen on the same date every year, and they are featured in the first list. 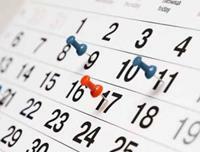 Some public holidays happen on different dates every year, and they make up the second list. There are also observances, which are not public holidays, but some people have time off of work for them, and some people hold celebrations in honour of them.